Location: Professor Stuart Hall Building, Goldsmiths College, New Cross, London SE14 6NW. We are very sorry but due to unforeseen circumstances we have had to cancel today’s Guest Lecture by June O’Sullivan. Robert failed his 11+ exam in 1966 and only decades later realised his problem was that he was rather bright, not stupid as he’d been told at school. He’s now a member of Mensa, the High IQ Society. The Goldsmiths Masters in Social Entrepreneurship is open for applications for entry in 2017. You can study full-time for one year or part-time for two years. This unique programme is located within the Institute for Creative and Cultural Entrepreneurship, Goldsmiths, University of London. Scholarships and bursaries are available, with a very wide range of scholarships for International students from outside the European Union. Students from the UK, the European Union and some UK-based refugees can apply for a Postgraduate Loan. Why study Social Entrepreneurship at Goldsmiths? You will learn alongside students from across the globe and with varied backgrounds, working mostly in small groups. You’ll be taught by experienced staff from the Institute for Creative and Cultural Entrepreneurship and a wide range of Guest Lecturers including practitioners from many leading social enterprises as well as academic and policy experts. You can see our Autumn 2016 schedule of Guest Speakers here. Learn about and critically reflect upon the policies, frameworks, regulatory environments and new funding and revenue models that support social enterprise, social innovation and the social economy. You will be introduced to techniques of entrepreneurial modelling and the evaluation of social impact, and will be given the opportunity to undertake practical exercises to test the theoretical approaches you to which you have been introduced. London and the UK are globally leading locations in terms of the variety of activities and support organisations focused upon social enterprise. For further details please see the Programme web-page. Tues 1st Mar Margaret Bolton & Niamh Goggin Social Investment in the Creative & Cultural Industries: The Case of Northern Ireland. Tues 8th Mar Faaria Ahmed The Think Global Research Project on Developing the Social & Solidarity Economy. For Directions to ICCE see the earlier post. Gao Youjiang has just completed his PhD at the University of Hull Business School. There is a lack of precise definition of Chinese Social Entrepreneurship and also a dearth of definitional consensus on generic Social Entrepreneurship, thus empirical research identifying the unique attributes of Chinese Social Entrepreneurship may be in pressing need. A grounded theory approach is employed in this study for clarifying the ontological and epistemological nature of Social Entrepreneurship in China in order to formulate its definition. I argue that the ontological nature of Social Entrepreneurship refers to economic-social transition; the epistemological nature is shaped by the origin of knowledge of Chinese Social Entrepreneurship that is broken down into two dimensions including nativism and exoticism. This study displays the uniqueness of Chinese Social Entrepreneurship and helps position it evidently around the generic field of Social Entrepreneurship. In particular, the research develops Alter’s (2006) social enterprise models by augmenting an extra model. Fritha Vincent works as a fundraiser and performance coach through her own business, Believe YOU Can Make a Difference Ltd. During her 14 year career in the voluntary and not for profit sector she has worked in organisations both in the UK and abroad, including Save the Children. Fritha has been learning about and exploring the world of social business and as a keen social entrepreneur she has set up her first business, Secret Pillow Project. This project empowers women in India through the making and selling of Secret Pillows. A Secret Pillow is a pillow that unfolds into a blanket. I will be speaking about my personal journey from being a charity fundraiser and moving over to running a social business. I will speak about my passion for social business and my hope it can make the world so much fairer. There has been a wave of recent interest in approaches to cross-sector collaboration that deliver systemic social impact. ‘Collective impact’ is one such methodology that has been widely adopted in the USA and is currently emerging in the UK. Tara’s lecture will explore the field of collective impact and the barriers and enablers to delivering it in the UK context, based on research completed for her Masters in Social Innovation dissertation. Robbie Davison has been a social enterprise practitioner for 25 years – setting up and leading a number of successful social enterprises as well raising £millions for regeneration initiatives. He is currently the Director of Can Cook, a food enterprise based in Liverpool. Since 2011 he has been researching and writing (with a colleague Helen Heap) about social finance. Robbie and Helen have published a number of papers and a short book on the subject. It will be about his experiences of social finance that will be the main focus of his talk. The talk will cover:- The difference between the Right money and wrong money; The difference between social finance and social investment; Why social finance will never facilitate social enterprise growth; Creating real social investment; What the data tells us and why the data is being ignored. The talk will be provocative and is intended to present a challenge to anyone interested in social justice. Social Investment in the Creative & Cultural Industries: The Case of Northern Ireland. Margaret Bolton has been Director of Policy and Research at NCVO and Advisor to the Prime Minister’s Strategy Unit and is currently Head of Learning and Dissemination at the Gulbenkian Foundation. As part of the Capital Matters project, she examined the financing of arts and cultural organisations. The Capital Matters report is credited by the Arts Impact Fund as an important milestone in the road to the Fund’s creation. Niamh Goggin has worked in social investment since 1994, lending, raising capital investment and social finance deposits. She provides social investment advice and support to Big Local, a £200m foundation and is researching the experience of small and medium-sized charities in seeking and using social investment. Niamh and Margaret are working on a project to define the potential role of social investment in supporting arts and culture in Northern Ireland. The Think Global Research Project on Developing the Social & Solidarity Economy. Faaria Ahmad is a Programme Manager at the charity Think Global which promotes global learning – and global action – for a more just and sustainable world. Our work covers three main areas: training, resources, and research and advocacy. Faaria currently manages projects which focus on supermarket supply chains and alternative economic models. She is also the Chair of the trustee board at MADE, a Muslim youth campaign and education organisation. She has an LLM in Law, Development and Governance from the School of Oriental and African Studies. 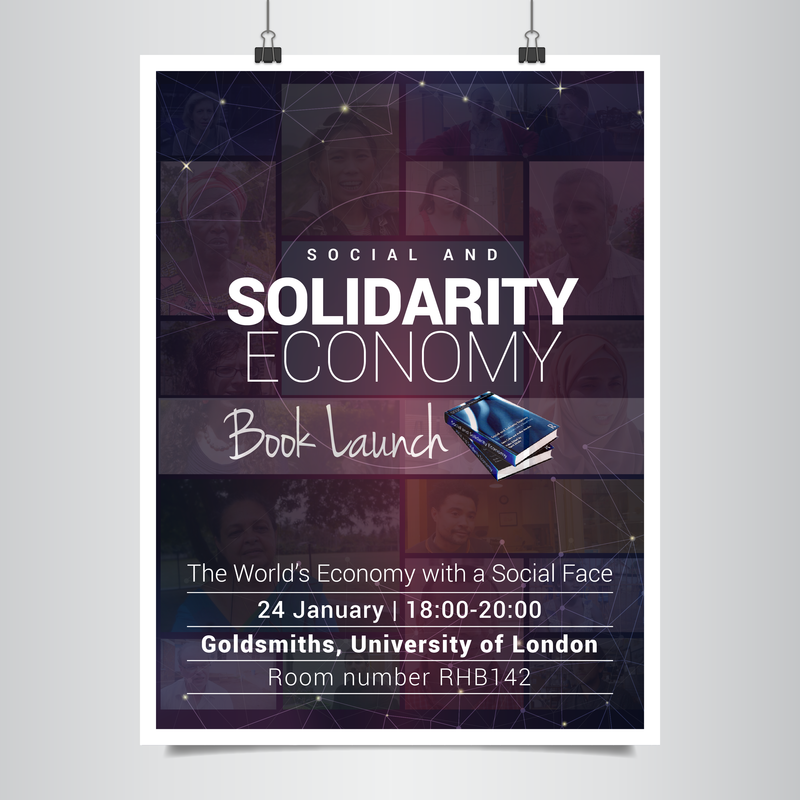 Faaria will be discussing one of her projects on Social and Solidarity Economies (SSE). Since May 2015, we have been mapping and researching the role that SSE plays in the UK, across Europe and the Global South. Faaria will be sharing some of the key findings from the research and discuss how we can rethink current models to alleviate poverty. June O’Sullivan, MBE is CEO of London Early Years Foundation, one of the UK’s largest charitable childcare social enterprises. LEYF has 350 staff across 35 community nurseries in 11 key London boroughs, a thriving apprenticeship programme, and it was awarded Nursery of the Year for 2014. LEYF has just opened a new nursery in New Cross. June is a regular speaker on social enterprise and will be showing why social enterprises cannot just rely on consumers’ preference for ‘buying social’ and must instead strive to make a better offer than their ‘non-social’ competitors. Dan Gregory spends some of his time as Head of Policy at Social Enterprise UK and also works independently under the banner of Common Capital. Dan has worked for the Treasury and the Cabinet Office and led the development of government policy on social investment. He also works at a more practical and local level supporting social enterprises and community-led meanwhile use across the country. Dan will explore how charities, social enterprises and informal social action make up the critical foundations of our society. Yet, while they carry out critical maintenance work across the country – through food banks, homeless shelters, furniture recycling projects and citizens’ advice bureaux, for instance – policymakers and funders fetishise scale and disruption, initiating a pandemic of social innovation hubs, accelerators and incubators. This narrow, instrumental, short-term obsession with innovation per se distracts us from the social sector’s wider, longer-term role in shaping markets and the state. Can we start to distinguish between – and reclaim – the good from the new, value from novelty, maintenance from Conservatism, and progress from innovation?